Hi Doodlebug friends! It's Traci, from Artsy Albums and I'm back to share my mix-n-match challenge project with you. As you may know, the design team was asked to create something using pieces from several Doodlebug collections. This was a lot of fun, because Doodlebug goodies always coordinate and look so cute together! I decided to make a wall hanging for my scrapbook studio. First, I purchased wooden letters from Michaels. They have lots of different shapes and sizes. I chose large white letters to spell CREATE. I covered each letter with a piece of 12x12 Doodlebug paper and used a craft knife to go around each letter. The papers I used are from the Anchors Aweigh, Spring Garden, and Under the Sea collections. 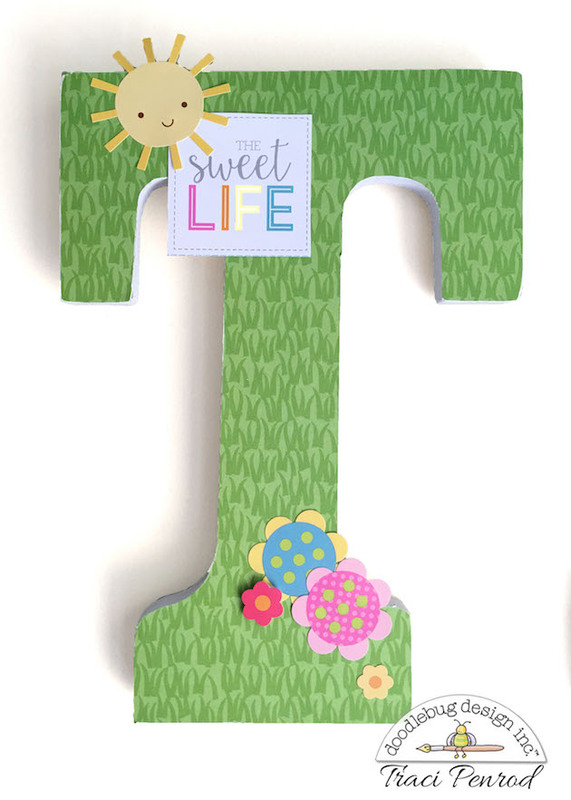 Then, I just added lots of cute Doodlepops, stickers, fancy frills, and sprinkles to embellish each letter. The possibilities with this project are endless. 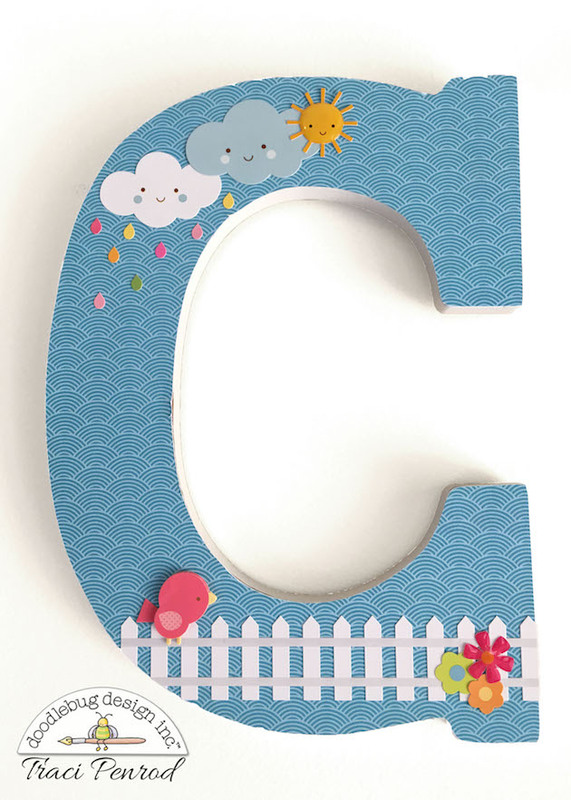 How cute would your son or daughter's name be hanging in their room or at their birthday party? Or a newborn's name hanging over the table at a baby shower? What ideas do you have for creating cute wall hangings with letters? I'd love to hear your comments! This is fabulous Traci!!! I'm going to steal this idea for my craft room!! What a delightful project! 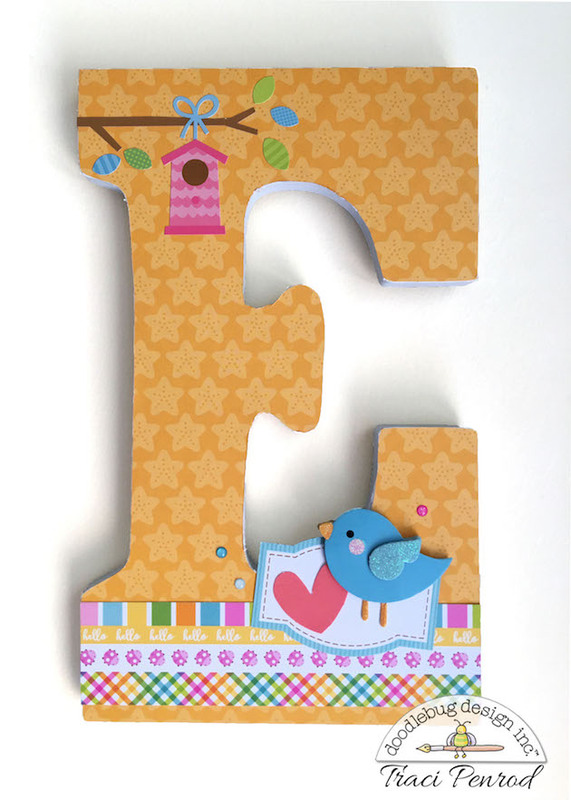 I love the sweet scenes and vignettes you created on the different letters. A perfect addition to any crafty space! I just adore this project - so happy, so fun, so very cute and what an awesome way to brighten any room!! You have made these letters look so good!! Love this idea and I just might have to try doing something similar in my craft room!! Marvelously done - I am so inspired by this! !